Xiaomi Mi 3 W/C version and Mi 4 W/C version will start to get MIUI 6 update this Friday. 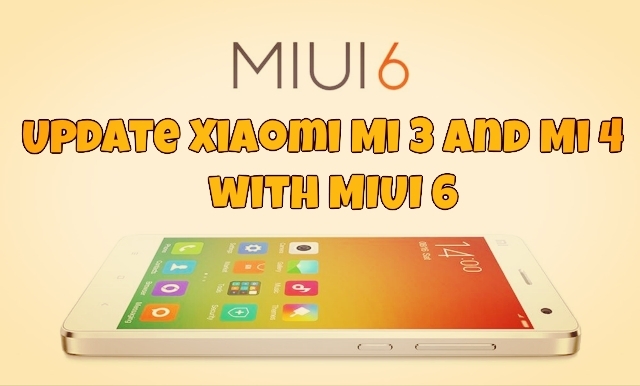 If you are the Xiamoi Mi3 Indian user then you can install this update today and enjoy the new MIUI 6 ROM on your new phone. Very soon the update is available for the Mi 3 and Mi 4. Please note that this one is the developer version not the stable one. To get this update first you have to install the developer version on your phone. You will get the update only if you’re using the latest developer version (4.8.22), older developer version or stable version will not get the update. Today in this guide we’ll show you how you can get the MIUI 6 update on your Mi 3 and Mi 4 android smartphone. The process is very simple and any one can do in just simple steps. In this guide we’ll show you two different method one via OTA method and other with the manual. To get this update first you have to install the latest developer version 4.8.22. Follow the instruction below to get this update. NOTE- Use the second method to install MIUI 6 quickly. Step 1. Download the latest developer 4.8.22 version form the below mention links. Step 2. Now read our guide here how to flash ROM on Xiaomi device. Follow any of the one step form that guide to flash the developer ROM on your MI 3 or Mi 4. Step 3. 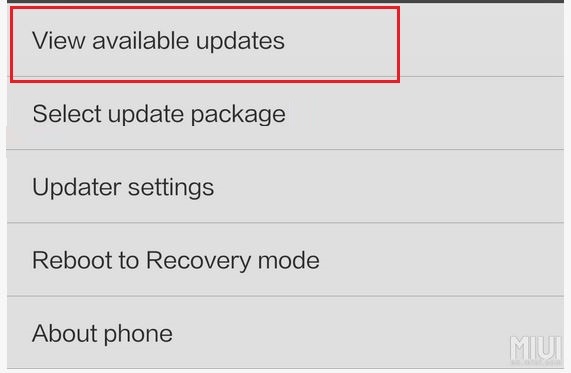 Once the device is update with the latest developer 4.8.22 version, go to the updater app on your device and press the Menu button – View Available updates. Step 4. Now you will see the MIUI6 update on your device, Select the update to install. That’s it. Now you phone is running on the MIUI 6 Developer version. In this method we’ll show you how you can directly install the MIUI 6 developer version on your device without installing the MIUI 5 developer 4.8.22 version. Step 1. Download the Full MIUI 6 ROM from below links. Step 2. Now read our guide here how to flash ROM on Xiaomi device. Follow any of the one step form that guide to flash the MIUI 6 developer ROM on your MI 3 or Mi 4. That’s It. Enjoy the new MIUI 4 Rom. Thanks a lot and keep posting more about mi phones. You articles are really helpful! hi will this void the warranty? Do we get stable MIUI 6 ROM in coming months..
i believe its coming in OCT ?? @Mohit….. English… As per your system language.